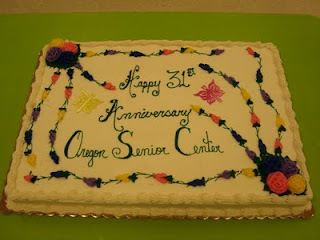 Oregon Area Senior Center - Council on Aging: 31st Anniversary Celebration was a Success! 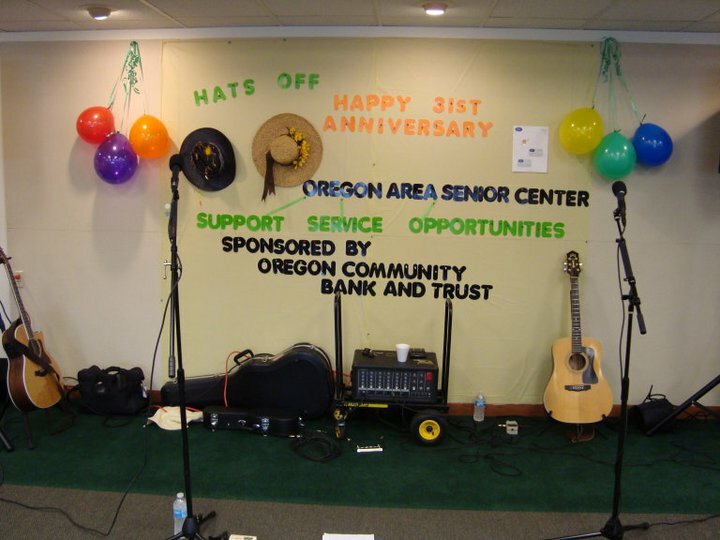 31st Anniversary Celebration was a Success! Delicious cake from Miller & Son's of Verona! 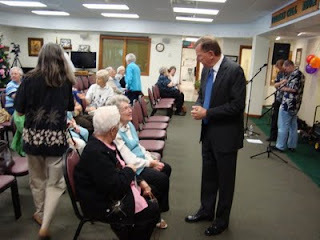 Jerry Luebke from Oregon Community National Bank and Trust pictured here talking to a lifelong Oregon resident. 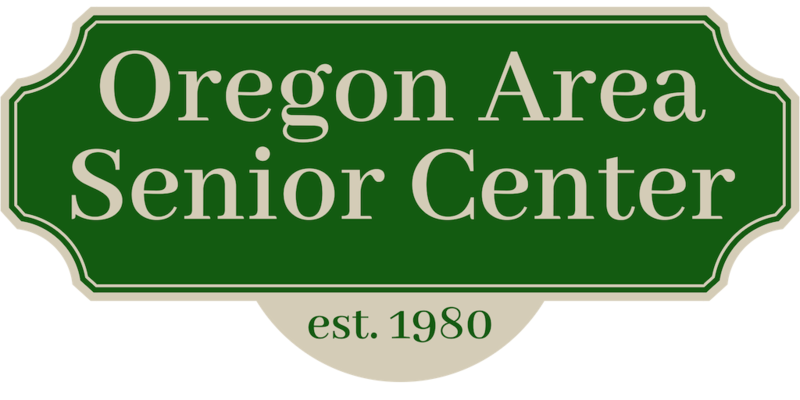 Jerry has sponsored the Senior Center's anniversary celebration for 31 years! 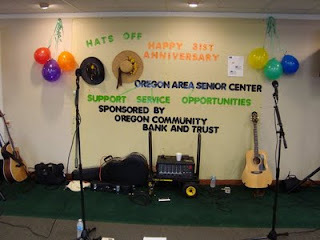 A pair of our ambitious volunteers Nancy & Ginny donated the supplies and their time to provide a visually appealing backdrop for our party! 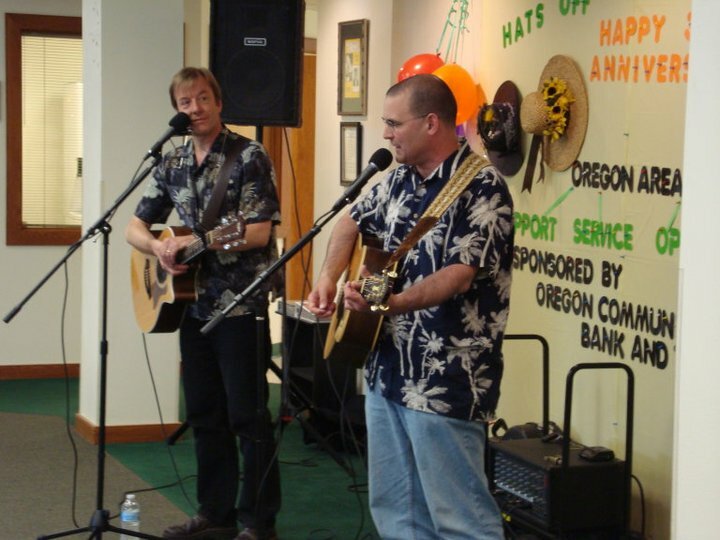 A business really last for long if it's run by people with a heart...a group of people who works not for money but for the success of the project...the people who work together and love each other as a family.